This painting was commissioned by Devonport Royal Dockyard intended as a gift for the owner of Sarafsa. 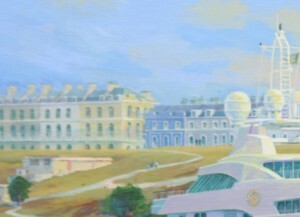 An unusual but not unique condition of the commission agreed between Royal Devonport Dockyard and Gordon Frickers was the painting would not be shown on the Internet for 5 years. Sarafsa was building in great secrecy one of the frigate pens at Devonport Royal Navy dockyard, that means inside the high security area in a covered frigate pen, building in the Royal Naval Base, Devonport, Plymouth. 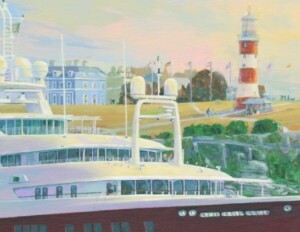 Thus it is another painting showing how the ship will look when complete. 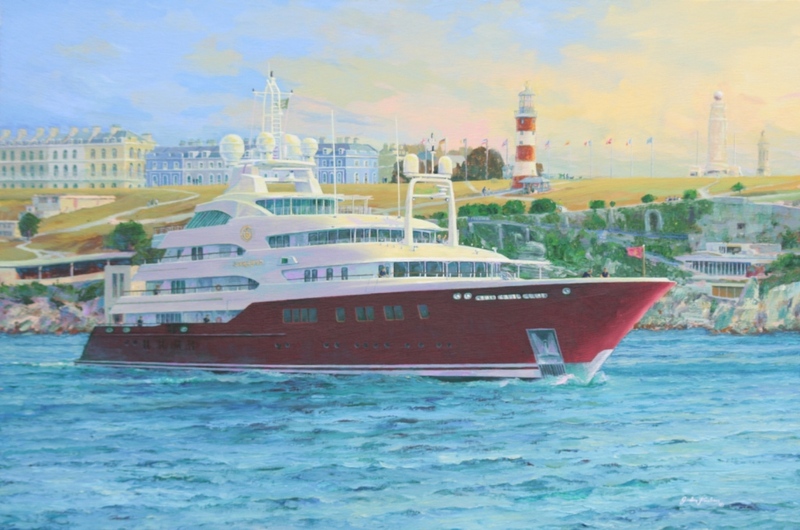 At the time Sarafsa was the second largest superyacht in the world weighting in at 5,000 tons, that is more tonnage than some merchant ships. With 5 decks above her waterline it is had to think of her as a yacht although that is what she is registered as. The artist made 3 discreet visits to the ship yard while the 5,000 ton Sarafsa was building. 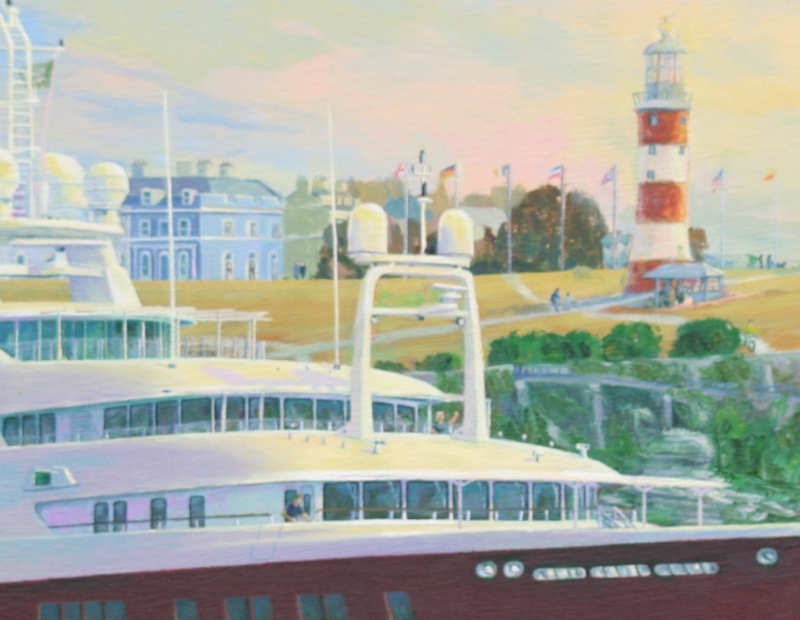 The clients, the Royal Devonport Dockyard were a pleasure to work with. 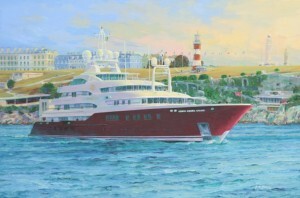 following discussions and viewing several sketches they chose to have Sarafsa shown as she might look while departing Plymouth. Happily Plymouth is a port Gordon Frickers knows very well having lived at Plymouth for 25 + years, to this day (2015) his own boat is marked ‘Plymouth’ as her port of registry. The last time the artist saw Sarafsa, the only time he saw her afloat was several years later, she was in Cannes harbour, SW France.